As today marks the International Day to End Impunity for Crimes Against Journalists, European Union High Representative Federica Mogherini has paid tribute to all journalists around the world who lost their lives and suffered attacks in the exercise of their profession. “On this day, which has been proclaimed as the International Day to End Impunity for Crimes Against Journalists, by virtue of the UN General Assembly Resolution 68/163, we pay tribute to all those journalists around the world who lost their lives and suffered attacks in the exercise of their profession. We also pay tribute to all those brave journalists who are taking up the work of their colleagues who can no longer pursue their investigations,” Ms. Mogherini said in a statement. In her declaration marking the day, the EU High Representative observed that “democracy cannot live without free, diverse and independent media. Journalists and media actors across the globe hold states, government officials, corporations and society at large accountable for their actions,” adding that far too of them face threats and attacks simply for carrying out their work, while the perpetrators of those attacks often act with total impunity. She cited the assassinations of investigative journalists Daphne Caruana Galizia and Jan Kuciak in the EU, which she said demonstrated that no region of the world was immune to targeted killing of journalists. “These despicable crimes need to be thoroughly investigated and prosecuted, as it is the case for the killing of Saudi journalist Jamal Khashoggi in the Saudi Consulate in Istanbul. We have asked and expect that Saudi Arabia cooperates on a thorough, credible and transparent investigation and we insist on the need for clarity on the circumstances of his death and full accountability of all those responsible for it,” she urged. She noted that there is in many countries a worrying tendency to erode and shrink space for free journalism, often by putting indiscriminately in question the credibility of media to discredit and weaken their work. “Journalists need an environment where they are able to work in safety and security, both online and offline, without fear of harassment, political pressure, censorship or persecution. A robust legal system must protect media houses and journalists all around the world so that they can fulfil their work in full independence. In a time where disinformation is on the rise, the safety of journalists must be guaranteed to allow them to promote accurate reporting for the benefit and in the interests of all our citizens,” she said. Ms. Mogherini promised that the EU’s continued use of all appropriate external policy and financial instruments to enhance quality journalism, access to public information and freedom of expression. 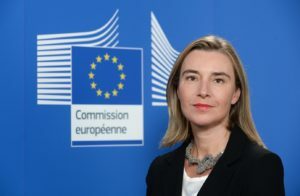 She noted that all states within and outside the European Union have a duty to fulfil their obligations to protect freedom of expression and the safety of journalists by providing an enabling legal environment, by taking threats against journalists seriously and vigorously prosecuting actual attacks. “We expect all to reinforce preventive measures, mobilising all actors and creating national safety mechanisms in line with the UN Plan of Action on the Safety of Journalists and the Issue of Impunity,” she urged.